With just one affordable suit, you can transform into so many different characters! Wear the included bow tie and arm yourself for a 007 look. 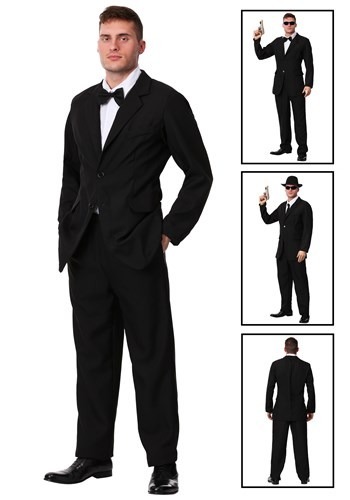 Or opt for the necktie and add a pair of dark glasses and a fedora for a Blues Brothers costume idea! This will become your 'go to' base for creating great looks again and again.